The Sighthounds dog breeds specialize in pursuing prey. "The most incredible athletes in the canine world." This breed of dog has the ability to keep its prey in sight at all times. Sight hounds primarily hunt by speed and sight, overpowering the chase with their speed and agility. Today, the majority of sighthounds are mainly kept as pets. 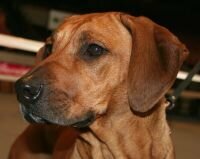 However, this dog breed has been bred for thousands of years to detect movement. This ability allows them to chase, capture, and kill prey by using their fantastic speed. Sighthounds require plenty of physical activity. 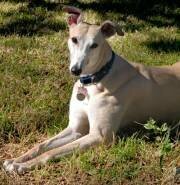 Sighthounds are able to quickly detect movement, and have very keen eyesight. They were breed to catch prey such as deer and hare. 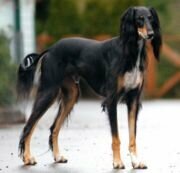 This dog breed should have a flexible back and long legs with a long stride. This dog should have a deep chest to support an unusually large heart, and a large lung capacity for anaerobic and aerobic sprints. 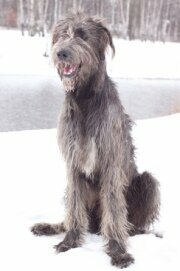 This dog should also have a healthy, lean, wiry body and were often bred to keep their weight to a minimum! Sighthounds have existed for at least 5,000 years. Today, the majority of sight-hounds are mainly kept as pets. This trait will always be within them. They do require plenty of physical activity. Expect this type of dog to be happier out doors chasing something! Some sighthounds have mellow personalities; some dogs can be hostile towards strangers. Their instinct to chase running animals remains strong. 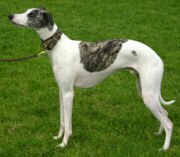 The fastest hound, the Greyhound, can reach speeds of just over 40 mph (64 km/h). "Sighthounds are also known as gazehounds."